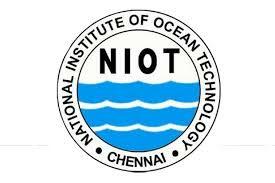 NIOT Chennai Project Scientists, Technician, Project Assistants, Project Administration Old Question Papers Download – National Institute of Ocean Technology (NIOT), Chennai has published a recruitment notification to fill up Project Scientists, Project Scientific Assistants, Project Technicians and Project Administration posts on contract basis. You can download official recruitment PDF file @ www.niot.res.in. Interested and eligible candidates may apply through the official site of NIOT before the last date. Applicants also check other details related to National Institute of Ocean Technology (NIOT) Pallikaranai, Chennai Project Scientists Recruitment 2017 like how to apply, selection process, educational eligibility, old question papers of Project Scientists (PS), model question papers and more info check at the official site.